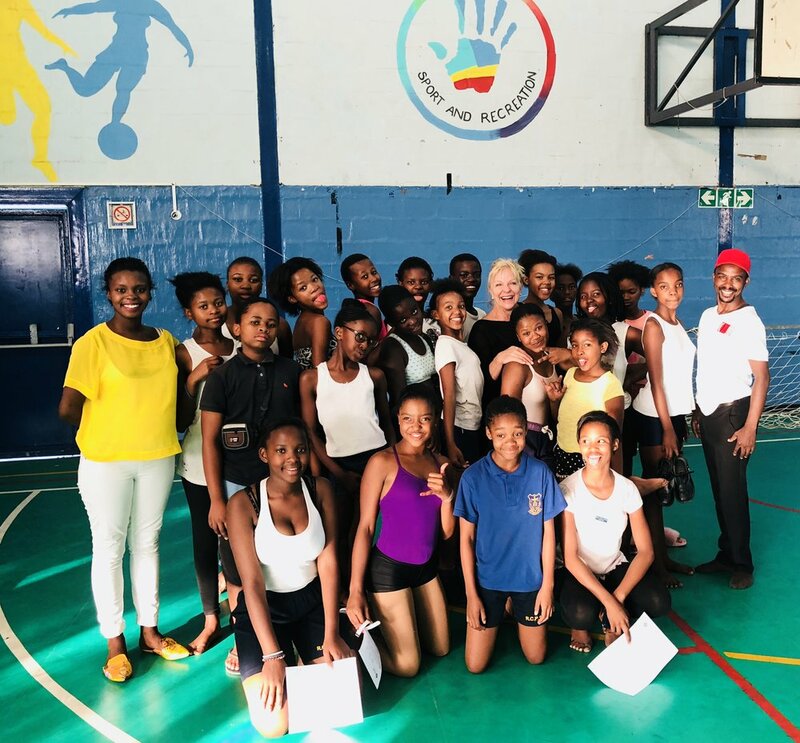 "Fifteen years ago, inspired by the Kristin Pichaske documentary 'Gugulethu Ballet,' I traveled to the South African township of Gugulethu to teach ballet for a program called Dance For All serving underprivileged youth in the South African townships. The experience transformed me as I encountered the talent and dedication of these young dancers and saw first hand how much they had to offer the world of ballet. Since then, I have returned each year with the support a of a variety of partners, including Stanford University and St. Mary's College, to teach and organize cross-cultural training opportunities for students and professional dancers throughout 14 townships in South Africa. Today this effort finds its home in the nonprofit organization Gugulethu Ballet Project. Gugulethu means 'our pride/treasure' in the Xhosa language spoken in South Africa. I’ve always loved the South African term 'Gugulethu' beside the French word 'ballet.' The fusion, while unusual, represents how ballet can be diverse and inclusive. For me, Gugulethu represents more than one township. The word Gugulethu is symbolic of a history of people building their own pride, in this case, through dance, under challenging circumstances." THE MISSION of Gugulethu Ballet Project is to bring the art of classical ballet to the children and youth of South African townships. Through the study of ballet, including contemporary forms built upon classical foundations, children and youth learn personal discipline, respect for themselves and others, artistic expression, resilience, and focus. Building on more than a decade of positive experience, Gugulethu Ballet Project has extended opportunities for exceptionally gifted youth from South African townships to study on scholarships in the United States and pursue professional careers. Such success stories inspire the next generation, especially as young professionals return to their communities to mentor and teach. For more information, contact us at gugulethuballet@gmail.com, check out our blog, and follow us on Facebook, Instagram, and Twitter.